1. What is your purpose as an Institute? Our purpose is present and expand upon the work of the late Dr. Stuart C Dodd. 2. Who was Stuart C. Dodd? Dr. Stuart C Dodd was a Professor Emeritus of the University of Washington Sociology Department who passed away in 1975. 3. Why is Dr. Dodd's work relevant today? Dr. Dodd was a visionary thinker and a pioneer of statistical sociology. His call in 1955 to the UN to create an international polling system to predict wars and revolutions is even more relevant today than it was in 1955. 4. What other work of Dr. Dodd is relevant today? Dr. Dodd assisted in the development of a 350 item index for gauging the readiness of a country for self-rule. 5. What is your Institute doing to promote the work of Dr. Dodd? The Institute has scanned many of Dr. Dodds papers into digital format and created 12 volumes covering his research. 6. 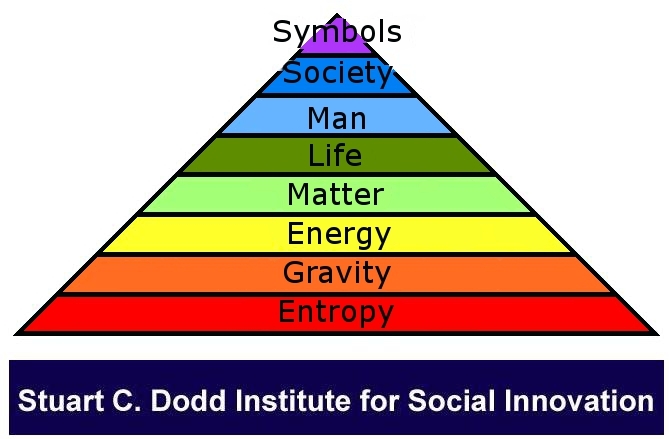 What is your Institute doing to expand upon the work of Dr. Dodd? Members of the Institute have produced books on Civilization Building and other relevant subjects. The Institute has a library of audio and video presentation on relevant subjects.